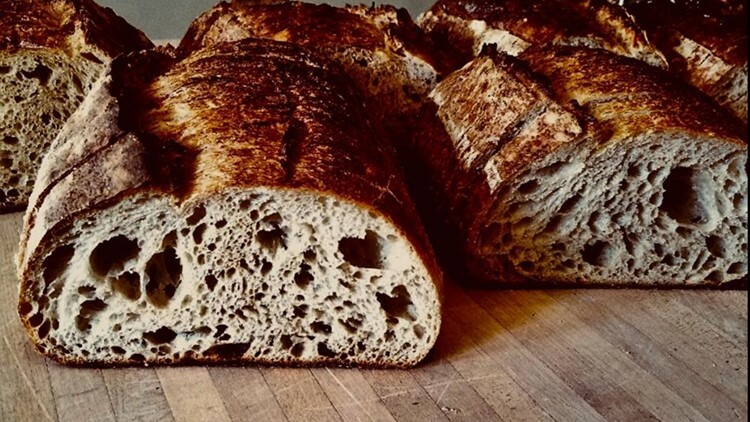 The Laughing Tree Brick Oven Bakery in Grand Haven is offering furloughed government workers a free loaf of bread during the shutdown. Businesses around West Michigan are offering free food or goods for furloughed workers. The government shutdown has entered into its 28th day, and 800,000 federal employees have been working during the shutdown without getting paid. In West Michigan, local businesses are giving discounts and offers to furloughed government employees affected by the shutdown. Consumers Energy: Consumers Energy is encouraging federal workers who are facing hardship because of the shutdown to contact them immediately for assistance, including flexible payment arrangements or extensions that provide more time to pay a bill. Founders Brewing (Grand Rapids): Founders is offering government employees 10 percent off food and $1 off class one and class two pints. Grand Armory Brewing (Grand Haven): The brewery is giving all active duty Coast Guard members two pints for $1. Grand Finale Desserts & Pastries (Grand Haven): All active Coast Guard and military members can get a free donut. Grand Rapids Griffins (Grand Rapids): The Griffins are offering free tickets to games on Wednesday, Jan. 23 or Friday, Jan. 25 for federal workers who are on furlough and working without pay because of the shutdown. Keystone Pharmacy (Grand Rapids): Keystone Pharmacy and Portage Pharmacy are allowing federal workers affected by the shutdown to defer medication copays. Laughing Tree Brick Oven Bakery (Muskegon): The Muskegon bakery is offering a free loaf of bread. Morning Star Cafe (Grand Haven): The Grand Haven restaurant is offering a free egg breakfast for all Coast Guard members and one guest. Small Town Sandwich Shop (Spring Lake): They are collecting non-perishable food items and donating them to local families with furloughed workers. Southtown Car Wash & Oil Change (Grand Haven): Coast Guard members can get a one time offer of $15 of gas for free. Spring Lake Presbyterian Church (Spring Lake): The church is making its food pantry available to all government employees affected by the shutdown. Sweet Temptations (Grand Haven): The Grand Haven-based ice cream shop is offering free ice cream to workers and their families affected by the shutdown. Tanger Outlets (Byron Center): The outlet mall is giving free $20 giftcards to federal workers through Jan. 28. 20 Monroe Live (Grand Rapids): The venue is offering complimentary general admission tickets with a valid government ID at the box office. The shows include Thunderstruck (1/18), Imposters In Effect (2/8), Candlebox (2/15), Sixteen Candles (2/16) & Panama (2/23). If you know of another business offering deals and discounts to furloughed workers that is not on this list, email webteam@13onyourside.com with the details.